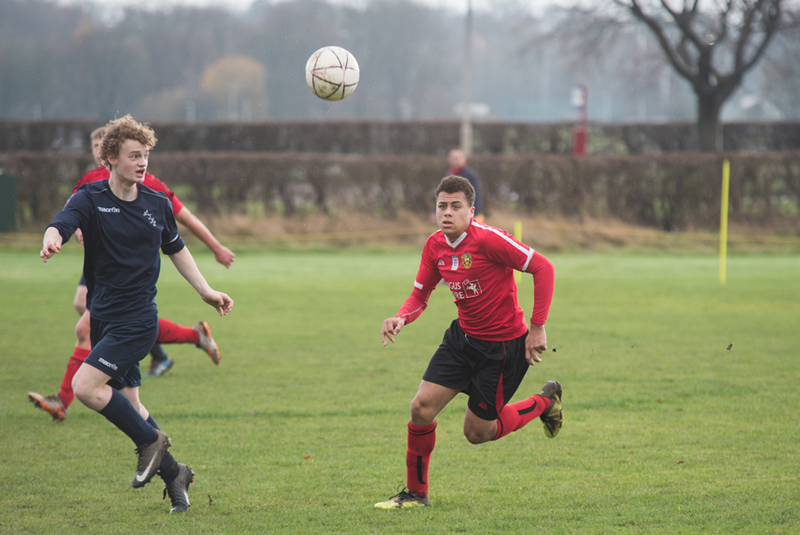 It was a day for celebration as Silsden AFC U17 Feyenoord took on Tadcaster Magnets at home in the Harrogate & District League Cup semi-final, with an outstanding team performance and 8-1 result, taking Silsden through to the U17 Cup final in May. The visitors arrived safely after a weekend of unprecedented rainfall, much of the familiar low-lying ground around Silsden transformed into the Lake District and some team members having to build sandbag barriers at their homes the night before! Magnets put in a solid performance with our MoM awarded to Magnets Copley and Rytwinski and our thanks to Magnets team managers who were competitive and true sportsmen showing dignity in defeat. Managers/coaches built a solid friendship they hope to kindle at future friendlies. Silsden's MoM went to Cameron White (photographed) for achieving a 4 goal personal best and 1 assist, followed by Joel Phillip with 3 goals and 1 assist, Luke Latham 1 goal and 1 assist, Nathan Bullock 1 assist and Olivier Tetteroo-Smith with 3 assists and also team captain, with Xavier Tetteroo-Smith standing in to cover goals. A notable performance by both teams and great game to watch. Tadcaster Magnets goal was scored by Anderson and Jamie Cunningham presided over the game, ensuring fair play and discipline throughout, keeping on top of a game of fast pace. Thank you all ... U17 Cup Final here we come!